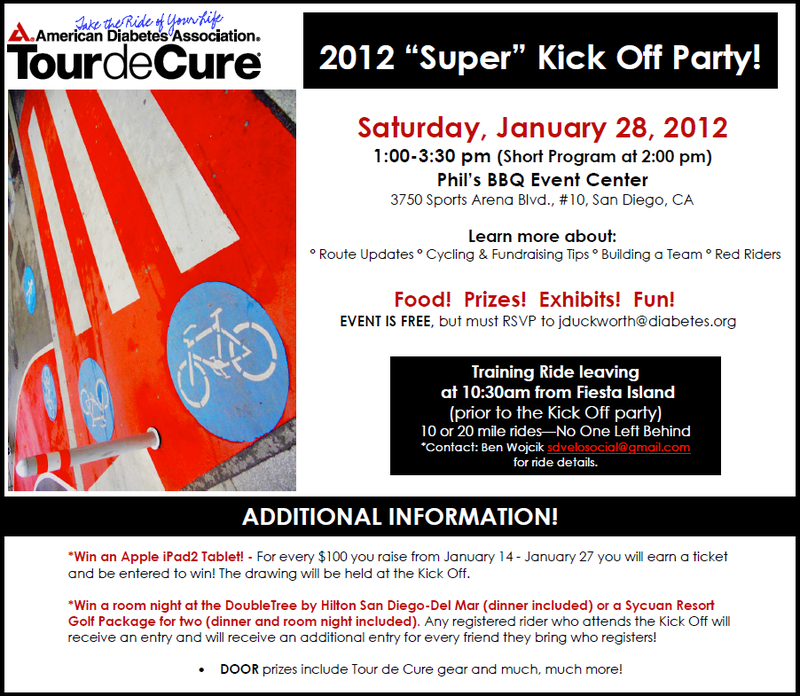 RSVP to the 2012 Tour de Cure Kick Off Party!! It will be held at Phil’s BBQ Event Center on Saturday, January 28, 2012. There will be free food, prizes, exhibits, and more information about this year’s Tour! Celebrate with the American Diabetes Association in this Kick Off Event! More information is on our Facebook Event Page.